The Special Envoy of Prime Minister and Deputy Minister of Foreign Affairs of Vietnam Nguyen Quoc Dzung called on the Foreign Minister Dr. A. K. Abdul Momen, M.P.in latter’s office at Ministry of Foreign Affairs this afternoon. The Deputy Foreign Minister of Vietnam congratulated Foreign Minister Dr. A.K. Abdul Momen on behalf of his Government. 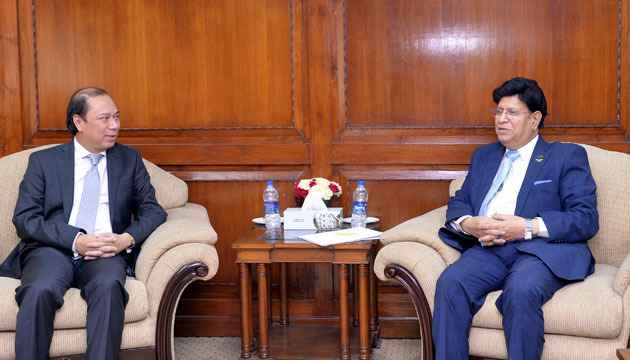 He reaffirmed his Government’s willingness to work closely with the new Bangladesh Government. The Foreign Minister recalled the historic and gallantry contribution of the two great leaders Ho Chi Minh and our Father of the Nation Bangabandhu Sheikh Mujibur Rahman towards the freedom and prosperity of Vietnam and Bangladesh respectively. He also mentioned that both the countries share similar history of struggle for independence. The Foreign Minister praised Vietnam and its dynamic people for the tremendous economic success. Mentioning trade between Bangladesh and Vietnam reaching close to US$ 1 (One) billion by the year 2018, he proposed Vietnam side to positively consider importing our pharmaceuticals, leather & leather products, and ships to fill the trade gap between two countries. The Deputy Foreign Minister assured to convey this message to the appropriate authorities in Vietnam. 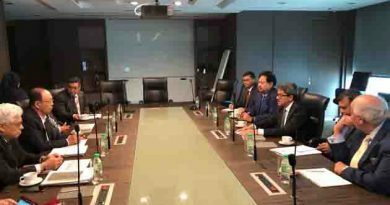 The Deputy Foreign Minister informed that Viet Nam is working with diligence to hold the 2nd Foreign Office Consultation and the 2nd meeting of the Joint Committee on Trade this year. Recalling that China became member of the G77 group (G77+China) during the chairmanship of Bangladesh which brought about significant changes to the group, the Foreign Minister requested Vietnam to positively consider the intention of Bangladesh to become a member of ASEAN during their chairmanship in 2020. With reference to the Rohingya crisis the Foreign Minister informed the Deputy Foreign Minister that the Prime Minister Sheikh Hasina had saved lives of thousands of Myanmar residents from the Rakhine State (Rohingyas) temporarily sheltering them within our border. He also state that we are now committed to their voluntary repatriation to their homeland as soon as Myanmar will create the conducive environment for their safe return. He opined that Myanmar could agree to create a safe zone under the direct supervision of ASEAN which may generate perception of safety and security for the Rohingya people and make them willing for voluntary repatriation. He requested Viet Nam to play an active role to get ASEAN more seized with Rohingya issue and promote dialogue among their members vis-à-vis Myanmar to curb out an early resolution for the crisis; otherwise, the whole region will have to face a threat of instability and insecurity causing deterrence to economic growth. The Deputy Foreign Minister sincerely appreciated the kind gesture, generosity of our Prime Minister for saving the lives of the 8,00,000 Rohingyas. He then explained reasons of their voting against Rohingya issues at the UN as a policy of interference and not supporting any issues brought against any specific country. However, he indicated possibility of revising their position on Rohingya issues in future. 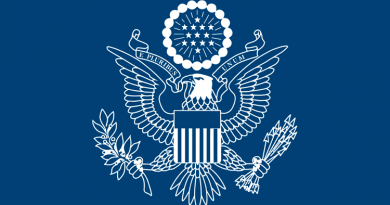 The Deputy Foreign Minister informed that the government of Viet Nam will contribute US$ 50,000 as the humanitarian assistance for the ill-fated Rohingya and US$ 50,000 for World Food Program in Bangladesh. The Foreign Minister appreciated the revised position of Vietnam on Rohingya issues and expressed intention for a collaborative approach from now on. At the end, Deputy Foreign Minister invited the Foreign Minister to visit Vietnam at an earliest convenience. Bangladesh Prime Minister seeks S Korean investment in power and ICT sectors in Bangladesh.